One studio space is now available to rent in Blast Theory’s building in Portslade, Brighton. Designed by award winning architects Block, the building has three studio spaces, an edit suite, a communal kitchen area, storage space, a project space and a residency space. The building is a Victorian warehouse overlooking the harbour and was originally an icehouse. Live Artists working in contemporary performance practice. 172.5 square feet (3.1m x 5.17m) – £300 pcm including utilities. The largest studio with a window onto the communal area. The building is easily accessible by bus (Routes 700, 1, 1A and 6) and train with Portslade station a 10-minute walk away. There are frequent direct trains to Gatwick Airport (40mins) and London Victoria (70 mins). Free on-street parking is available in close proximity to the building and there is easy road access to the A27. 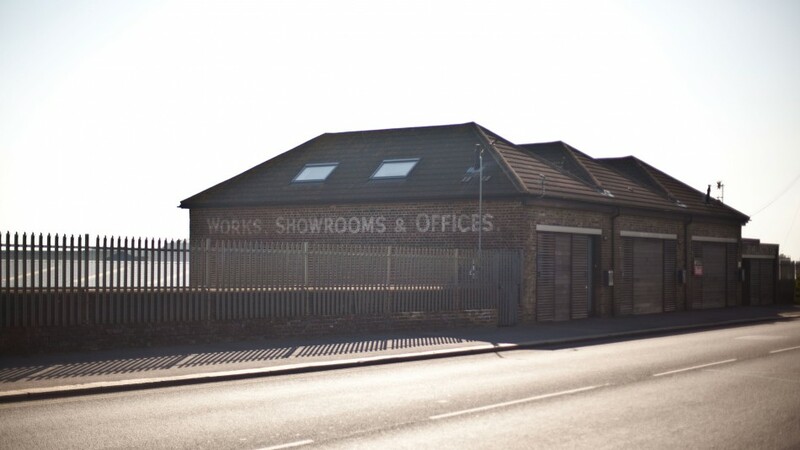 Wheelchair access to the building is only available via the Travis Perkins yard during office hours. Loading and deliveries can be made via the Travis Perkins yard during office hours. via We have space to rent at our studios in Portslade | Blast Theory. This entry was posted on June 25, 2015 by mptask in July 2015, June 2015, News Views and tagged art, Blast Theory, Brighton and Hove, Portslade, studio space for rent.